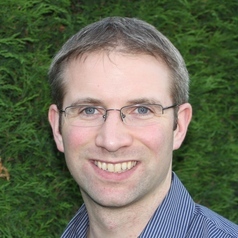 Dr Mike Wood (CRadP MSRP) is Reader in Applied Ecology in the School of Environment & Life Sciences, University of Salford, UK. A leading radioecologist, Mike has worked for over 15 years on the study of radioactivity in the environment. He specialises in the development of models for predicting radionuclide transfer within ecosystems and estimating radiation exposure of wildlife. He is currently leading a 5-year research programme in the Chernobyl Exclusion Zone, studying environmental radiation exposure and the resultant impacts on wildlife. Dr Wood plays key roles in various international expert groups on radioecology and environmental modelling. Significant roles include core membership of six International Atomic Energy Agency (IAEA) Working Groups (within EMRAS, EMRAS II, MODARIA), invited expert group member for European Commission (EC) initiatives (PROTECT, STAR) and Chair of the International Union of Radioecology Task Group on the development of non-lethal methods for assessing contaminant burdens in wildlife. Dr Wood has many years’ experience of providing environmental radiation protection consultancy and has been invited to deliver various national and international capacity building activities on environmental radiation protection, including for the EC and the Japanese Government. He is also regularly invited to present his research at major international conferences and symposia. In 2013, Dr Wood was awarded the Society for Radiological Protection’s (SRP) Jack Martin Prize for outstanding academic excellence in radiation protection.